Author and art historian Terry Smith will be in conversation with Carolyn Christov-Bakargiev, Artistic Director of Documenta 13, about his latest publication, Thinking Contemporary Curating. 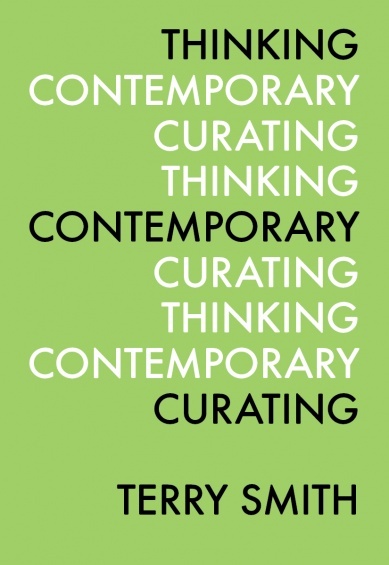 Published by Independent Curators International (ICI) this fall, it is the first book-length text to comprehensively explore what is distinctive about contemporary curatorial thought, probing what is urgent and challenging in the rapidly evolving international field. Moderated by Renaud Proch, Deputy Director, ICI. Thinking Contemporary Curating developed out of the conference “The Now Museum,” produced in March 2011 by the New Museum in collaboration with the PhD program in Art History at CUNY Graduate Center and Independent Curators International. Independent Curators International (ICI) produces exhibitions, events, publications, and training opportunities for diverse audiences around the world. In thirty-five years, ICI has organized 118 traveling exhibitions, profiling the work of more than 3,700 artists. The resulting networks include 621 museums, university art galleries, and art centers in forty-eight states and twenty-nine countries. A catalyst for independent thinking, ICI connects emerging and established curators, artists, and institutions to forge international networks and generate new forms of collaboration. Working across disciplines and historical precedents, the organization is a hub that provides access to the people, ideas, and practices that are key to current developments in the field, inspiring fresh ways of seeing and contextualizing contemporary art.